tout ceci est magnifique: Happy Easter! Happy Passover! Christie's will be selling this massive fossilized egg in London on April 24. It measures a whopping 12 inches long and nine inches in diameter; that's roughly 100 times the average size of a chicken's egg. 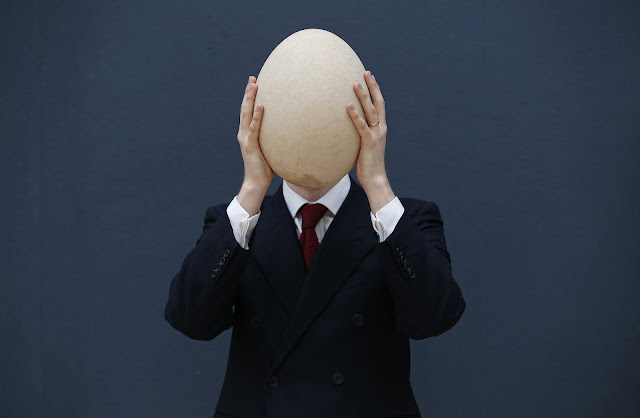 The pre-17th century egg comes from the now-extinct Madagascar Elephant Bird, which was the largest bird to ever live and measured 11 feet in height. The world-famous auction house is expecting the gigantic egg to fetch between $30,000 and $45,000.